Quasar in Montreal or Quebec City? Inform me about the next events for Quasar. Enroll yourself to our priority waiting list for Quasar to be alerted when new tickets are available. Filling this form doesn't engage you to any purchase. Quasar will be in your area and you you're looking for tickets? We have exactly what you are looking for. 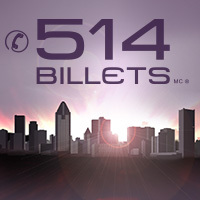 514-Tickets operates as a broker for event tickets. All of our tickets are covered by our 100% Satisfaction Guarantee. We offer delivery of your purchase via express post allowing 2-4 business days for reception (this is calculated according to when the tickets arrive at our office). Our team is always on the lookout to find tickets for the event you are looking for, whether at the Bell Centre, St-Denis Theatre or other venues too numerous to mention. Give us a call at 514-245-5387 and we will be happy to let you know what is available or better yet, visit our secure website at www.514-tickets.com and browse our selections.